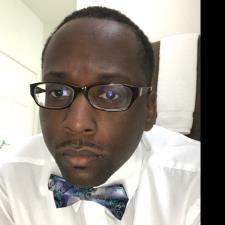 My name is Darius and I have over 10 years in experience when it comes to tutoring and teaching. I have worked with students from pre-k to 12th grade. I enjoy tutoring and teaching because it allows me to help others to become successful in life and prepared to take on things that they may not have been able to. I would to hear how I can be of assistance to help you in any way. Contact me and let’s get started! I had earned my masters degree in Elementary Education as well as my teaching certificate. I also have four years of teaching experience at the elementary school level. I am a certified teacher with a reading teacher endorsement. I currently teach reading as an 11th grade US History teacher. I have experience working with students from pre-k to 12th grade. I am a reading teacher at the 11th grade level and prepare students to take the SAT every year. I was an English-Writing major at University of Illinois at Chicago and a College Writing Center Tutor. Current US History teacher teaching reading and writing skills.